Here at OY-L, we are all about safe products and want our pets to have them too. 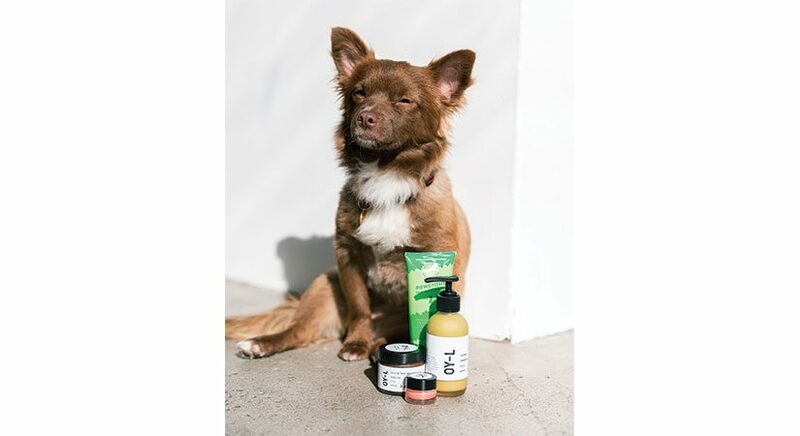 Today we are announcing an exciting product giveaway with our favorite pet brand, and will be exploring the many skincare benefits of Manuka Honey. We are excited to be teaming up with Dr. Evan Antin’s Happy Pet Brand to bring you an exciting giveaway featuring Manuka Honey products! We are giving away our 4oz Face Wash, 3.5 oz Exfoliating Manuka Mask, and all three of our Lip Balms! Happy Pet Brands is giving away their Furwell Odor! Deodorizing Spray, Furwell Odor! Deodorizing Wipes, Pawsome! Paw Moisturizer, and their Hits the (Hot) Spot! Relief Wipes. This giveaway contest runs from Saturday, March 23 – Monday, March 25. 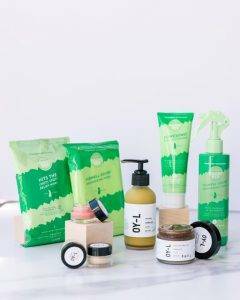 Enter to win on our instagram page @oylnatural and Happy Pet Brand @happypetbrand. Good luck! Keep reading to learn more about the skincare benefits of Manuka Honey. Manuka Honey is an extraordinary ingredient. Manuka Honey comes from New Zealand, where it is produced by bees pollinating the Manuka bush. The difference between this honey and the kind you buy at your local grocery store is it’s incredible antibacterial properties. Although honey has been used to treat infection for over 4,000 years, it was not recognized until recently that honey produced from the nectar of certain flowers contains a significantly greater ability to aid healing and resolve infection, largely due to a greater concentration of methylglyoxal (MGO), which is found in Manuka Honey. This ingredient’s antibacterial activity has earned it the name Unique Manuka Factor (UMF). Manuka Honey is also known to fight infection by several additional means, including peroxide activity, acidic pH, viscosity, as well as anti-inflammatory properties. It was approved by the US FDA in 2007 for use in wound dressings, and has been studied extensively in regard to its antibacterial properties. It is known to be effective against the primary bacteria that cause skin infections, such as Streptococcus, Staphylococcus, E. Coli, Pseudomonas, and a dozen more, and without the development of resistance, as is common with antibiotic use. In addition to its antibacterial properties, Manuka Honey helps decrease inflammation that slows wound healing, and also stimulates the production of cells that can repair wounded skin, leading to quicker, more effective healing. The combination of these healing properties is thought to make Manuka Honey an effective natural remedy for inflammatory skin disorders (such as eczema, psoriasis, and acne) that are often complicated by bacterial contamination. It has even been shown to help prevent dermatitis due to radiation treatment for breast cancer. In addition to these amazing properties, Manuka Honey also acts as a humectant, meaning it helps your skin retain moisture to stay well-hydrated, without creating an oily feel. This is incredibly helpful with aging skin or other conditions prone to dryness. We use Manuka honey in several of our products, including our Face Wash, Exfoliating Manuka Mask, and Lip Balm. Read on to learn more about how these products can help your skin. Our Manuka Honey Face Wash helps to cleanse, purify, soothe, and restore. It’s the perfect honey-oil mix for all skin types. It contains both Manuka Honey and wild-crafted honey, combined with all-natural oils including hemp seed, meadowfoam, grapeseed, lavender, and vitamin E. Reviews for this item are stellar, claiming it is the only thing that has cleared up their cystic acne. Our Exfoliating Manuka Mask combines Manuka Honey with exfoliating agents and fragrances found in nature. Our customers describe it as “addictive.” This mask gently exfoliates your face while acting as a pore clarifier as it hydrates your skin. Our Lip Balm is available in three delicious scents, Manuka Latte, Orange Rose, and Lemon Mint. Each formula contains Manuka Honey and helps restore moisture to the lips.